In this world of intangibles and endless competition, branding is everything. Most people think of a logo or an ad when they think of branding. It is so much more than that. Your brand is the promise you make to your marketplace and to your employees. It is the essence of who you are and what you do. It is why your customers do business with you. Everything you do should be brand aligned—from how you package your products to the signature on your emails. Every touch point should reflect your brand. The Big Brand Workshop is Townsend Team’s strategic positioning and branding exercise. Every one of our programs begins with The Big Brand Workshop. It is how we are able to create an effective marketing strategy that propels your business to success. Our team conducts anonymous phone interviews with internal and external stakeholders to uncover where we need to focus our attention. 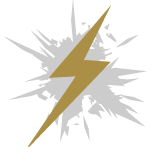 We then customize the full-day workshop to your specific branding and positioning needs. Every Big Brand Workshop is unique and tailored to your business. Our branding and positioning expert, Jackie Townsend, facilitates the full-day workshop, and another member from our team takes meticulous notes. Yes, the workshop is a full day, and yes, we require your entire senior executive team/ key decision makers to attend. Limited participation limits success. During the workshop, we guide your team through the creation of a brand triangle. 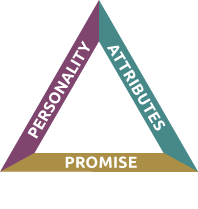 This triangle comprises a brand promise, brand attributes, brand personality and keyword. Using the brand triangle, we then examine your verbal and visual brand identity. Your verbal brand platform is your positioning statement, value proposition, boilerplate, tagline and public-facing messaging. Your visual brand platform—the embodiment of your brand personality—is your look and feel; it is your logo, color palette, font, etc. The power of The Big Brand Workshop is that our team doesn’t create your brand. We facilitate, we guide and we direct your executive team to branding and positioning consensus. The Big Brand Workshop delivers a clear framework to which all marketing communications will be aligned. This solid foundation ensures successful and consistent messaging and keeps your marketing strategy on track. Ready to Breakthrough? Contact us today.